The busy season is starting with really nice Geocaching weather. Nice sunshine and not too cold. We are starting with the preparations of the events as well as a number of new Geocoins. We have also a number of new affordable trackables. Our event calender is already pretty filled. Till december we have every month an event Are you looking for something special, please let us know. We will try to bring it to the event for you. 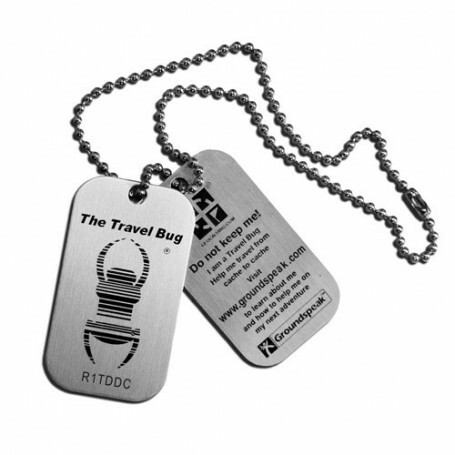 We hope this geocoin will bring luck to your geocaching adventures. Each of the four leafs of this Celtic design have their own representation: hope, faith, love, and luck. The “Ace” geocoin was created to honor the memory and spirit of the many young men that served their country in the cockpits of some of the most powerful aircraft ever built and flown. The title of “Ace” was given to a pilot after his 5th confirmed Kill. They were highly skilled men; tough, focused, brave, unrelenting and cool under pressure. They relied on the ability to seek out and find their target. These skills live on today in the hearts and minds of Geocaching Aces around the world. Wherever you cache, you wil find spiders on your way! This coin has a nice hard enamel illustration on both sides. The coincode is very small printed in the tail of the spider. The Netherlands-American Steamship Company was founded in 1873. It was headquartered in Rotterdam and provided service to both North and South America. The shipping and passenger line was a principal carrier of immigrants from Europe to the new world: New York. It became known as the Holland America Line. The front side of the coin shows a steamship, designed in remembrance of the old advertising campaigns of the steamship company. The back side of the coin represents the Dutch engine order telegraph at the bridge of the steamship. - Backside has a moving needle!!! Also we now again a batch the Time and Space Geocoins. Last time, they were sold out within one hour! This week no new Geocoins online. But still a number of rear coins are online. A fish to swim from cache to cache avoiding muggle predators. It is large enough to be seen, but sized just right to fit in a 35mm container. You also can attach your favourite item to it. A symbol of love since the medieval times, hearts are a great way to show affection or that you really like a person, location, or object. It is large enough to be seen, but sized just right to fit in a 35mm cointainer. You also can attach your favourite item to it. The moon has always been a celestial object used for navigation and time. Now you can have your own moon and watch it travel around the world. The moon itself is made with a glow-in-the-dark color. It is large enough to be seen, but sized just right to fit in a 35mm cointainer. You also can attach your favourite item to it. Now, we have our trackable Travel shirts also in kids sizes in dark blue (sizes 122/128, 134/140 en 152/164). Next to the blue version, is the Travel bag now also available again in black and braun.